Just look at it! So much like little eggs in a bird nest... or maybe little pebbles in a cup. Whatever it looks like to you, it's just fascinating, isn't it? I should point out that these are quite small... each of the "cups" is about the size of the eraser that's on the end of a pencil. I'm not sure if this discovery was the reason that I started taking photos of mushrooms and other fungi, or if I discovered this *because* I already liked taking photos of fungi, but that hardly matters now. The important thing is I know something wonderful like this exists now, and it's not difficult to find. 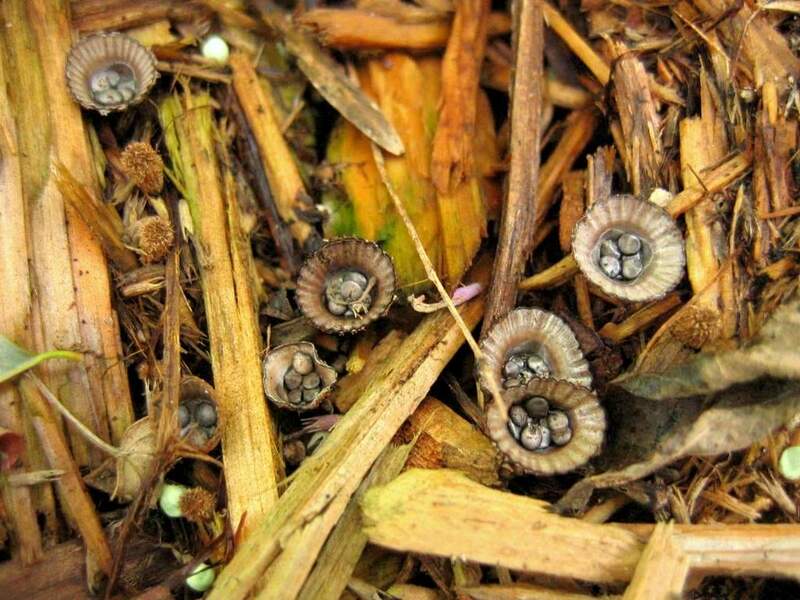 Finding mushrooms or other fungi in your mulch or yard usually isn't a bad thing, as they're all part of the decomposition process, and are helping to break down the mulch and enrich the soil. 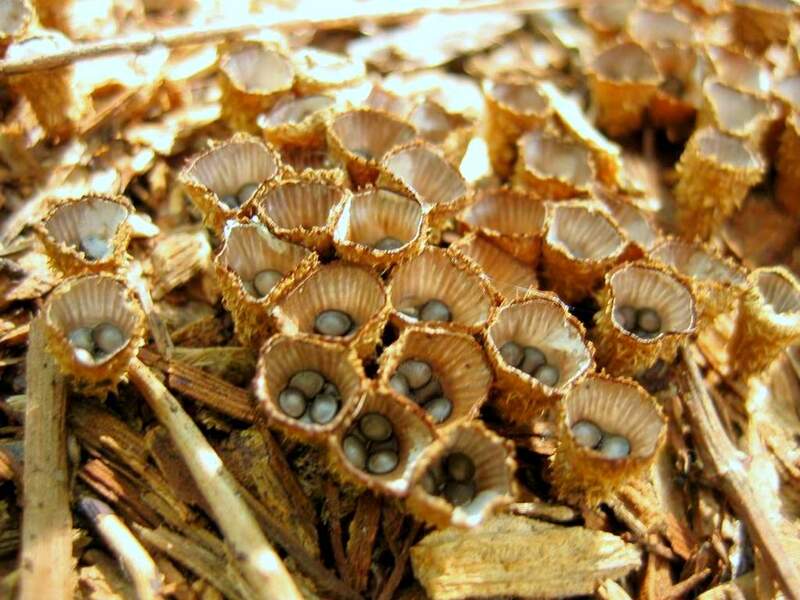 I don't know anything about these "Bird's Nest" Fungi specifically though. 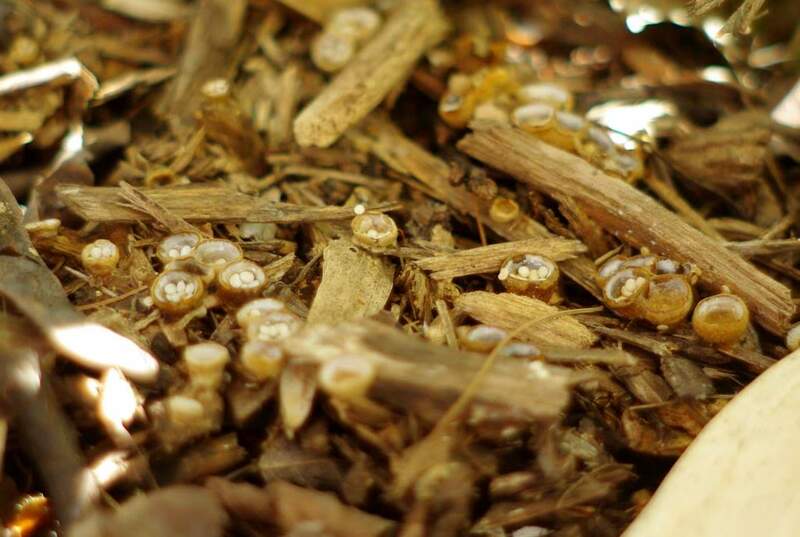 Does it form only on specific types of wood, or does almost any wood mulch provide the needed growing environment? How many different types are there? I'll find out more about this fungus someday, but that's one of my favorite things about gardening: it gets you up close with the plants and the soil and everything that goes with it. There is really so much to see, and if you don't stop and take a closer look, you'll never know it's there. Plus, you don't have to understand it or even know what the heck it is to appreciate it. You need to stop and take a closer look though.